Connect SAP to your back- and front-office applications with Boomi AtomSphere®. 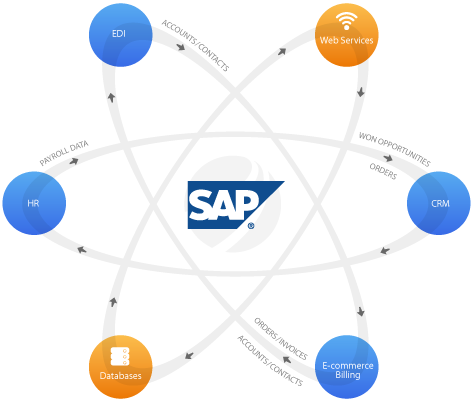 Boomi AtomSphere® enables SAP users to reduce data errors, minimize IT expenditures, and connect with applications hosted in the cloud. Whether connecting SAP to SaaS applications, databases, or web services, AtomSphere is the centralized platform to deliver enterprise-grade integration with all of the benefits you would expect from a cloud-based solution.